Introducing the world’s most versatile electrical tool. 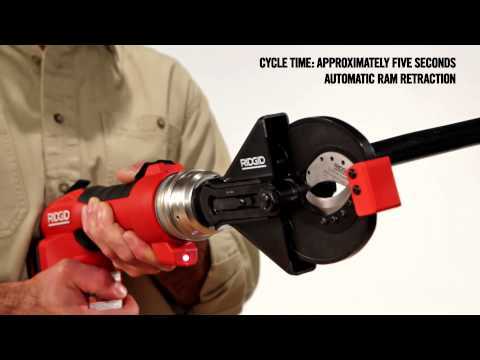 The RE 60 from RIDGID® features our unique QuickChange System™, allowing you to quickly and easily switch between interchangeable heads for cutting, crimping and punching. Now your important tasks can be accomplished with one innovative tool. No more back and forth to the truck, searching for different tools. Whether you’re cutting wire, crimping lugs or punching boxes, the RE 60 helps you maximize your productivity and efficiency on the jobsite. 60 kN force output for crimping lugs up to 300 mm², cutting cables up to 50 mm diameter and punching holes up to 3 mm mild steel. *All RE 60 Kits include: RE 60 Electrical Tool, 2×18V Advanced Lithium 2.0Ah batteries, and carrying case. 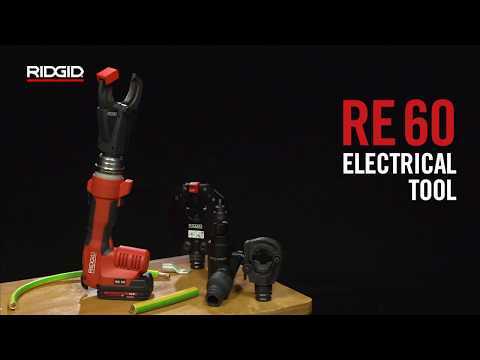 RE 60 Electrical Tool is rated 5.0 out of 5 by 1.